Seriously? Another coming-of-age/young adult movie? Well yes, that is what I expected when I watched this film last night. However, when the film ended, I accused myself of immediately judging the book by its own cover. What happens inside this movie is structurally the same as almost any young adult comedy-dramas out there, but there is something about this that sticks out from the bunch. This is Kelly Fremon Craig’s directorial feature which makes it an even impressive feat; he is definitely showing a lot of promise for his upcoming works. 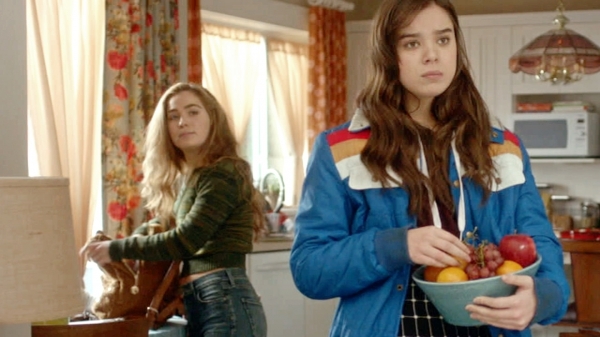 The Edge of Seventeen stars Hailee Steinfeld as Nadine, who struggles to fit in with everyone. She thinks she’s definitely not in this generation so she mostly spend most of her time alone; her mom often forces her to get out of the car because she refuses to go to school; and she thinks she and her brother are the complete opposite. School was definitely not so good to her neither; she was often bullied by everyone; she remained unhappy until she met Krista which then became her best friend - navigating through the difficulties of their lives together. Until she turned 17, when Krista fell in love with her brother and she couldn’t accept the truth that she’s going to be alone again (for the rest of her life). 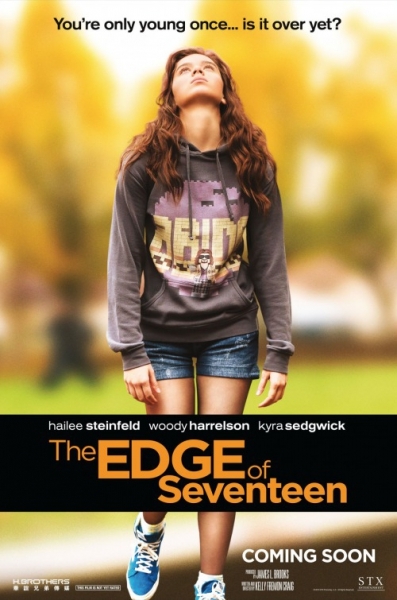 Hailee Steinfeld turns a surprisingly outstanding performance as the 17-year old girl trying to face life alone again and friendless. She encounters the difficulty of “socializing” with people or connecting with anyone. Steinfeld perfectly captured this feeling in the screen; the depressing state of loneliness and isolation is imprinted in her sad face, but never sympathizing. She’s the kind of character that you love for a second, and then hate a moment after - an authentic depiction of self-obsessed teenagers of this generation. However, I think this “conversational” type might be one of the drawbacks for the general viewers as well, this flopped at the box office; I don’t think people like “films that often talk”, they want action - and this film has almost none of that. But if you can appreciate good performances and satisfying laughs then give this a watch. Steinfeld like the rest of the cast offers incredibly remarkable performances, and most of the lines delivered are genuinely funny as well. There is so much characterization happening in this movie, and for some people I can easily see this one as almost “auto-biographical”. Even though most of us get through everything just fine in our teenage years, there are still those people who feels the same way as Nadine - if you’re one of those people, you can definitely understand her struggle to cope up with the society. And if you’re not one of those people, then maybe like me, you can “begin” to understand them. And this is what I think makes the film another league above most young-adult films. It doesn’t try to be a “serious” film but in the end it became one. Never judge a film without a watching it indeed. This might be almost the same as every other coming-of-age dramedies before it, but thank God it isn’t. Teenage life for some people are never as fun as everyone imagines it to be, and this film perfectly captures that struggle. This is Nadine’s journey into self-fulfillment and the search for truth - that life is worst when it’s being battled alone; so whether you think you just want a feel-good film with an incredible substance to it, or just want some good laugh and interesting conflict, then this one is highly recommended! How is Hailee Steinfeld as a person in real life?